During those two days, the chief articles disposed of were the toilet service in gilt silver of the late Duke , secured by Capt. Hargreaves for 11,000 francs; a rose brilliant of great beauty for 18,000 francs; and a pure brilliant for 37,100 francs, bought by M. Schlessinger of Vienna; four rubies for 13,700 francs, by M. Clement of Paris; a pair of brilliants mounted as earrings, 27,700 francs; a blue brilliant, 17,600 francs, by Messrs. Blogg and Martin, of London; the orders, colors, and decorations of the late Duke, for 88,200 francs, by Baron L.A. Goldschmidt and M. Porges; a lot of tinted diamonds, 45,200 francs; a heart-shaped brilliant, 10,100 francs; and four brilliants, 13,000 francs. An incident of the second day's sale was the discovery that certain "emeralds" put up were imitation, and their consequent withdrawal. On the third day, as I have said, there were marked indications of a decline in the sale, the biddings being by no means brisk. The sum of 132,930 francs was, however, realized, or 20,000 francs (about) over the upset price. The lots withdrawn were of the estimated value of 142,775 francs. The fourth day's sale (Sunday) realized 283,980 francs, or nearly 100,000 francs over the reserved price, indicating a revival in the interest of the sale; but on the fifth day, the attendance of buyers was very small, and only 96,000 francs was realized, lots to the value of 164,650 francs being withdrawn. Yesterday, the sixth day, still less business was done, only 61,635 francs being secured. Today 25,480 francs' worth of jewels only were sold. The general results of the seven days' sale are as follows: Sum realized, 990,030 francs; estimated value, 768,558 francs; estimated value of the lots withdrawn, 846,355 francs. No decision has yet been come to respecting the disposal of the unsold jewels, but great disappointment is felt in Geneva at their failure to tempt purchasers. The lots sold realized, on the whole, very favorable prices, and those that remain unsold are, in the opinion of the dealers, much overrated in value. As far as the sale of the late Duke's jewels is concerned, the benefit to Geneva is small, but the town has had a substantial benefit from his bequest in the 10,000,000 or 12,000,000 of francs in stock and real property. Among the buyers were representatives of the Shah of Persia , Messrs. Sabot and Totvania of Teheran, but their purchases were confined to a collection of about ten small rubies, at 10,000 francs, some emeralds of small price, and a few other trifles. The large and beautiful rose-tinted brilliant, the gem of the collection, was sold to Messrs. Blogg & Martin for 70,600 francs. Among the other chief purchasers were Messrs. Haas of Geneva and Paris, M. Soemenstein, M.L. Taub, M. Achard, and M. Vanderheim. 1. Image available via Wikipedia; source here. 2. The recently-deceased duke whose possessions were being auctioned was Karl II, Duke of Brunswick (1804-1873). He was the son of Friedrich Wilhelm, Duke of Brunswick and Princess Marie of Baden; his paternal grandmother was Princess Augusta, the sister of King George III of Great Britain, and (the much injured) Queen Caroline of Great Britain was his aunt. 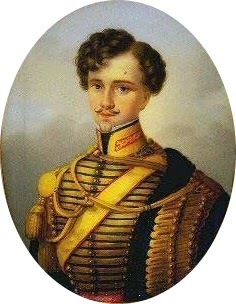 Karl inherited the dukedom in 1815, while he was still a minor; his uncle/cousin, the Prince Regent (later King George IV of the UK), was named his guardian. He never married, and he was succeeded by his younger brother, Wilhelm. 3. In 1874, the Persian shah was Nasser al-Din (1831-1896) of the Qajar dynasty.